Whenever Blankstone Opticians looks at investing in and, securing a brand for our customers, the heritage of that brand is always an influencing factor. For our Valentines’ Day focus this year, we’re working with Tiffany whose heritage can be traced as far back as 1837. American silversmith Charles Lewis Tiffany’s passion for the exotic led him to source fine jewels and silver from the far east, notably China and India as well as Europe. New York City was home to Tiffany’s first ever branch in the form of a high-class boutique selling stationary and fancy goods. Tiffany’s designs borrowed heavily from the natural world including flowers, birds and sea life with its evolution focussed very much on the quality of its craftsmanship and intricacy of design. Tiffany’s collaborations in the 20th century include an impressive list of lauded artists and jewellers including Paloma Picasso. In addition to their stores in London, Paris and Geneva, their flagship store is on Fifth Avenue. 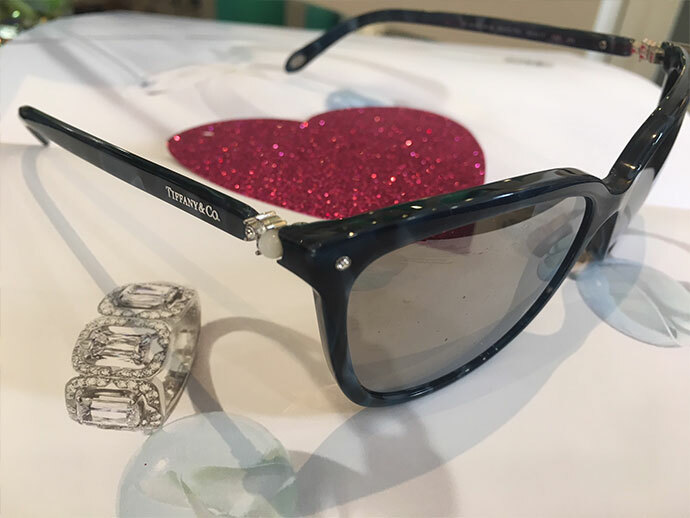 It was made famous by ‘Breakfast at Tiffany’s’ – a favourite of Blankstone Opticians in which chic Audrey Hepburn represented the embodiment of Tiffany’s style. Demand is now stronger than ever for Tiffany’s exquisite jewellery and has been seen adorned on the likes of Kate Hudson, Anne Hathaway and HRH Kate Middleton. 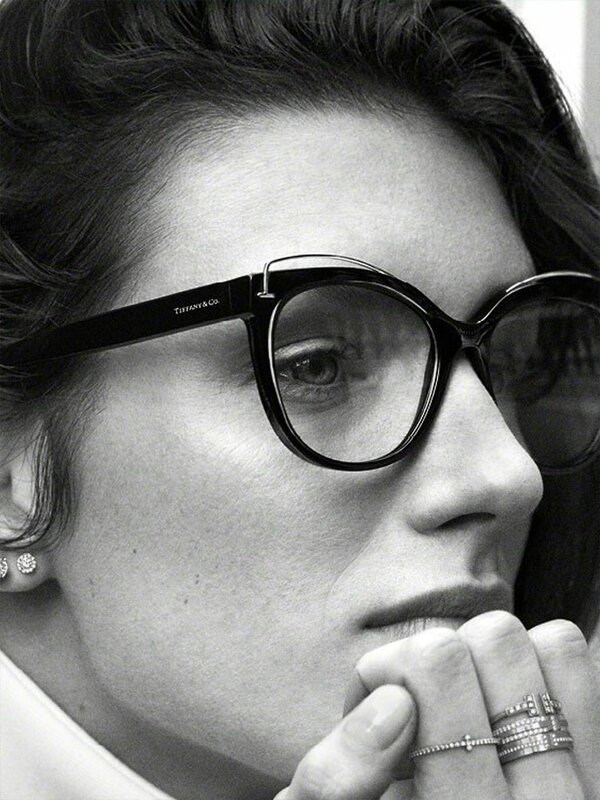 Simultaneously, the brand has diversified and in 2008, Tiffany introduced an eyewear collection along the same brand guidelines and themes of its jewellery. Some of the initial 2008 launch collection was styled after the Return to Tiffany collection with their enlarged sterling silver plates attached to the arms. 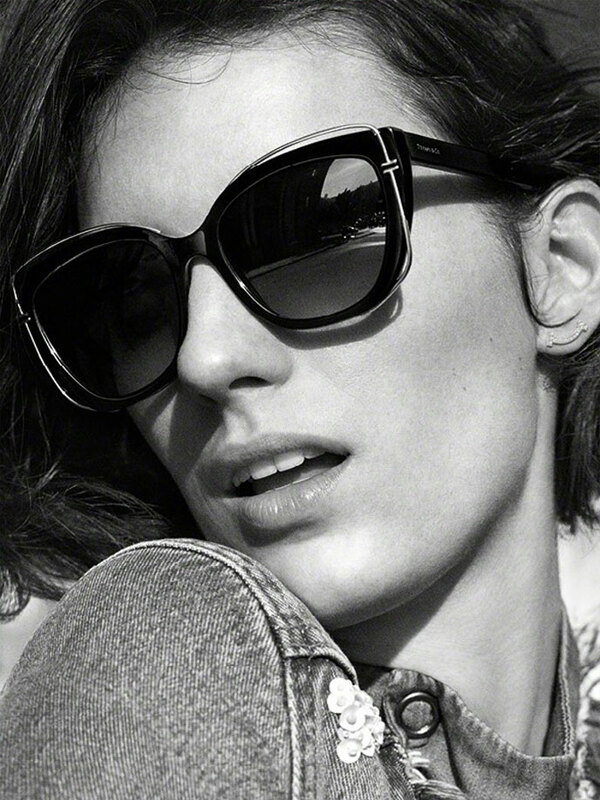 We became intrigued by Tiffany’s new eyewear collection soon after it was launched. Some of its styling had a unique curiosity whilst other frames were classically elegant with a range from rimless to aviator styles. Ten years on and the latest collection still features aviator along with butterfly, cat eye, rectangle, round, square, oval plus designs with and without gemstone. In the current collection, there’s an overwhelming nod to a style very much influenced by Tiffany & Co. jewels…lots of timeless and highly sophisticated details. Classic USA fashion aesthetics come to mind. The materials, metals, diamonds and craft that has gone into the brand smacks of high-end luxury without the reassuringly expensive price tag. Each frame is beautifully packaged in a black Tiffany & Co. case enclosed in a symbolic blue Tiffany box. There are currently sixteen pieces to the collection. We were dazzled by the diamond and silver motifs beautifully integrated into the frames and loved the colour hues that include glossy black, chocolate, tortoise, burgundy, blue, violet, pink, white, translucent yellow and marbled tones. We loved the sun lenses and lens colour options too that include black, brown, gradient brown, smoke, grey-green, grey, grey mirror, gradient grey and violet. 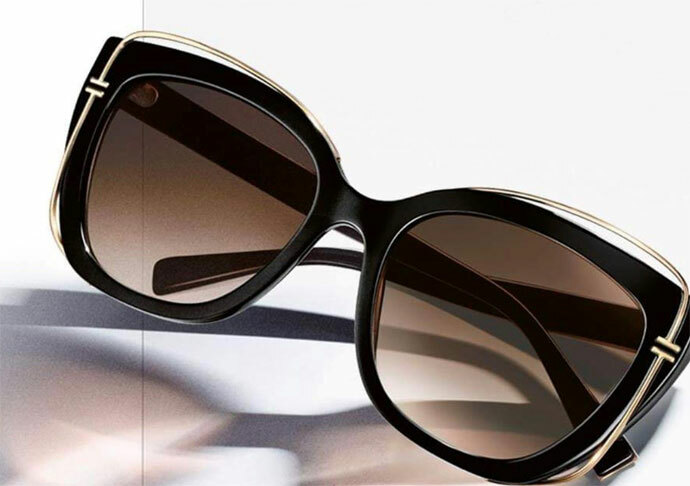 The cat-eye Tiffany sunglasses carry universal and timeless appeal and are suited to all face shapes and tastes in style. The classic Tiffany hallmark blue frames are highly coveted by the likes of Danish supermodel Doutzen Kroes, Blake Lively, Amy Adams, Eva Longoria, Jennifer Lawrence, Hillary Duff and Taylor Swift. Naturally, their styles are unique which illustrates how diverse Tiffany is as a brand. Marilyn Monroe ranks as one of Tiffany’s biggest fans. She made mention of the brand several times in Diamonds Are A Girl’s Best Friend.